As the Northern Colorado area has experienced growth so too has the Owl Canyon Corridor. Weekday traffic volumes on the treated gravel portion of the corridor have increased more than 300% in the past 20 years from 550 ADT in 1998 to 2400 ADT in 2017 with nearly 15% of those being heavy trucks. In response to the rapid growth in traffic on the corridor, Larimer County completed and adopted the Owl Canyon Corridor Project in 2008. The goal of the Corridor Project was to identify a preferred route and conceptual design for future improvements between US Highway 287 and Interstate 25. The result of the Project was a phased set of improvements with the final phase being paving of the three-mile treated gravel segment. The first phase of improvements began in 2014 and the final phase is currently scheduled to be completed in 2021. In 2017 the County determined that the high volume of grading required had degraded the surface of the road. The surfacing material was potholed and tested and it was determined that a sufficient depth of gravel (8”) existed but the top 3” had lost a significant portion of the -200# binder and this lack of binder (fines) material was not allowing the Durablend to perform at its peak and the road was degrading rapidly between grading cycles. After careful consideration, the County decided to reclaim the existing gravel rather that resurfacing with new gravel.In the meantime, the Larimer County Road and Bridge Department is responsible for maintaining a gravel road that is carrying traffic that is six times over the 400 ADT paving threshold. The County has worked closely with EnviroTech Services, Inc. over the years to find solutions for this gravel portion that provides for reduced dust, ease of maintenance, reduced surface degradation between gradings and provides a smooth serviceable driving surface. For several years the maintenance regime consisted of grading, watering, compacting and treating with Durablend five or six times per year. During the planning phases, Larimer County consulted with EnviroTech and a “Compact and Cap” process was selected. Utilizing a Caterpillar RM 300 Road Reclaimer, the top 6” of the surfacing material was re-mixed and blended to create a well-graded material throughout the depth. Additional fines were added as required to ensure that the -200# was the County’s preferred 12% to 14%. During the mixing process, EnviroTech’s Compaction Aid was used in place of water and was injected directly into the mixing drum from an EnviroTech truck tethered to the Road Reclaimer. 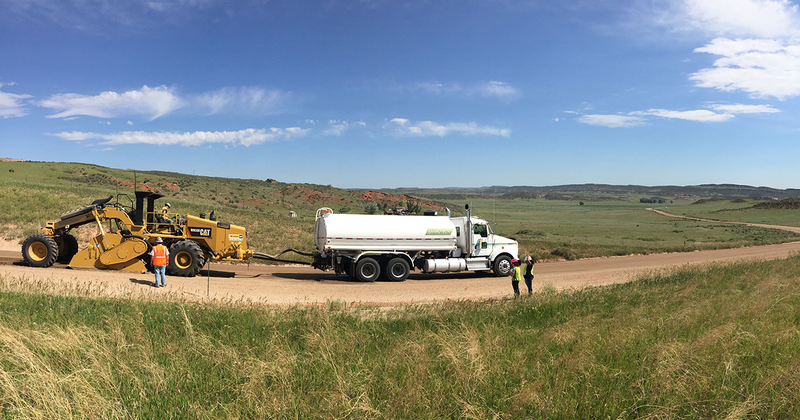 Larimer County saw a significant reduction in the amount of liquid needed to achieve the specified compaction which resulted in an increase in production allowing for savings in labor and equipment costs. In addition to greater productivity, the use of Compaction Aid causes a longer lasting more durable road. 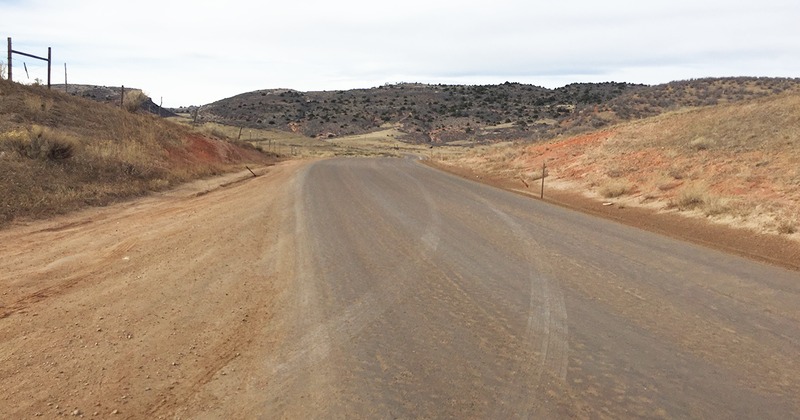 After completing the reclamation, the road was graded, compacted and capped with Durablend. Larimer County Road and Bridge Director Todd Juergens said, “We have been very happy with the results of the Reclamation and the Compact and Cap process we selected. We will continue to monitor performance but to date, it appears that the road is holding better between grading cycles”. 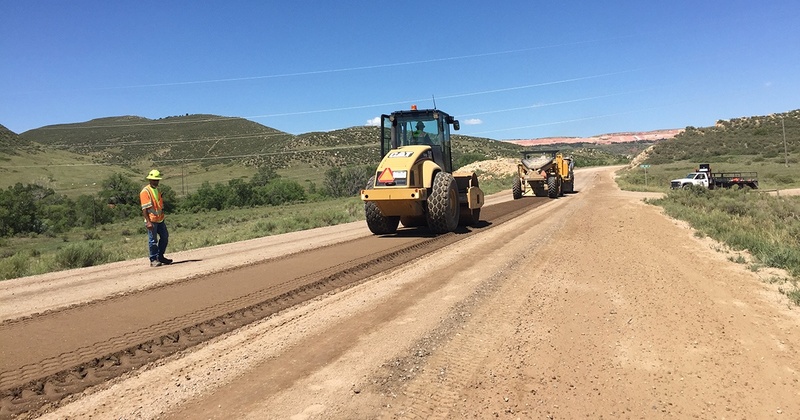 EnviroTech Services, Inc. works closely with customers like Larimer County to find economical solutions to road maintenance problems.